CLICK HERE to register at Eventbrite by April 15. Purpose: To offer a spiritual formation opportunity for UM campus ministers and chaplains in the SEJ that’s focused on personal spiritual renewal and the nurturing of relationships and community with one another. 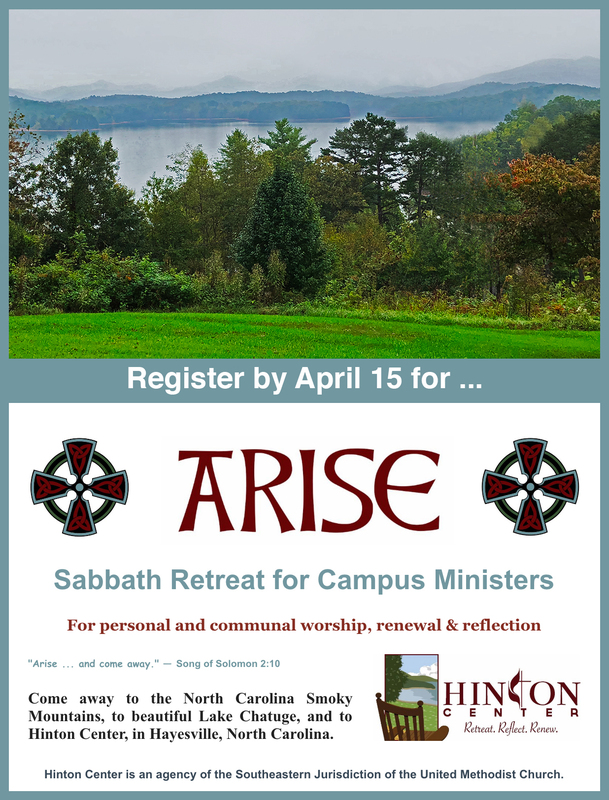 * Provide a time of Sabbath rest, renewal, and meaningful worship for UM campus ministers and chaplains to support them in their spiritual life and in their ministries. * Facilitate learning and spiritual practices related to Sabbath and Celtic Spirituality that will revitalize and nurture their own soul-tending. * Encourage community, cooperation, and co-missioning among participants. CLICK HERE and register at Eventbrite.